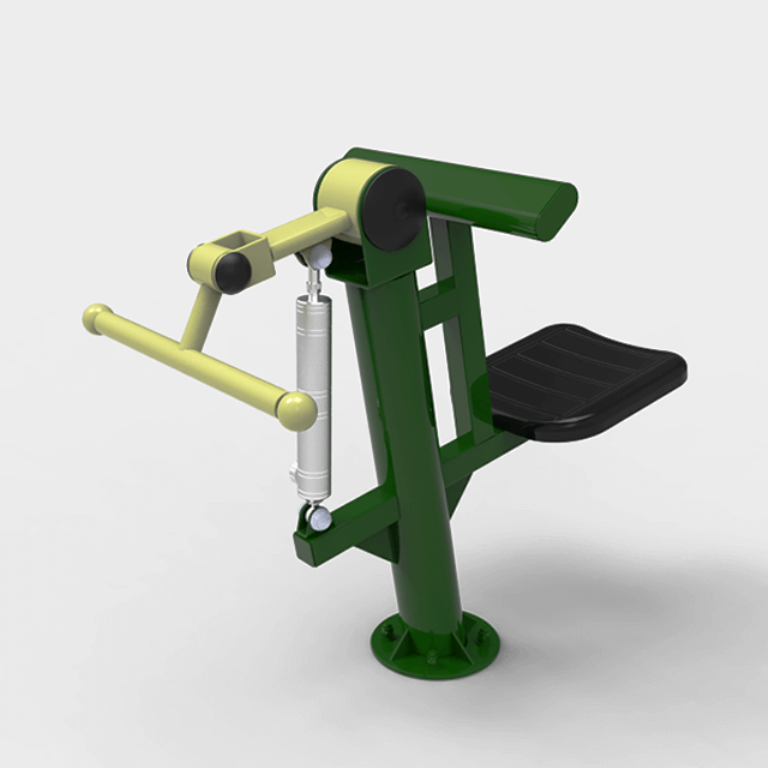 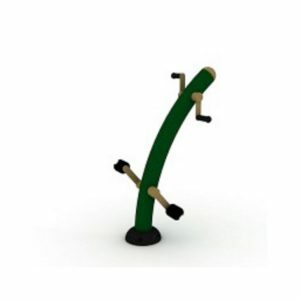 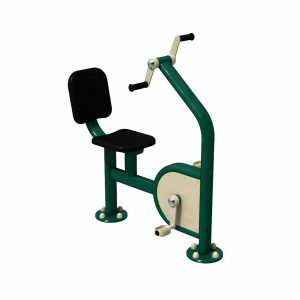 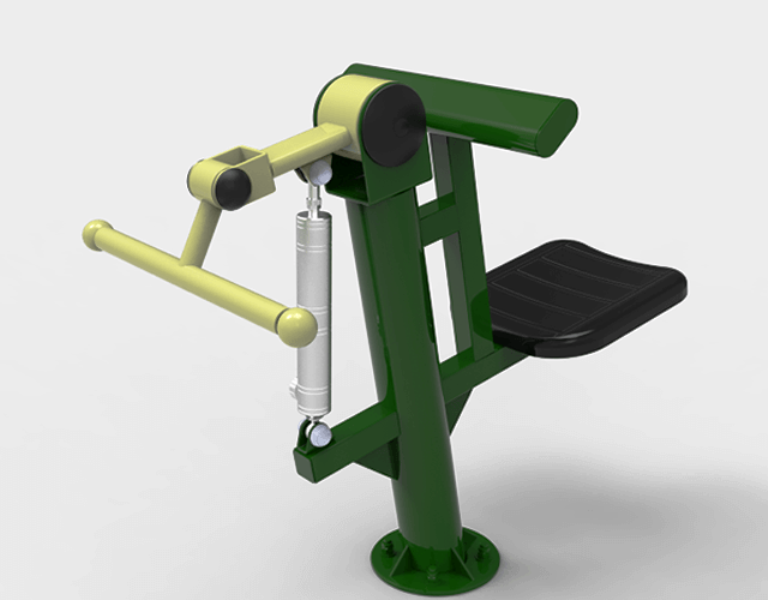 The Resistance Bicep Curl has been specially designed for adults to build muscular strength in front of the arms. 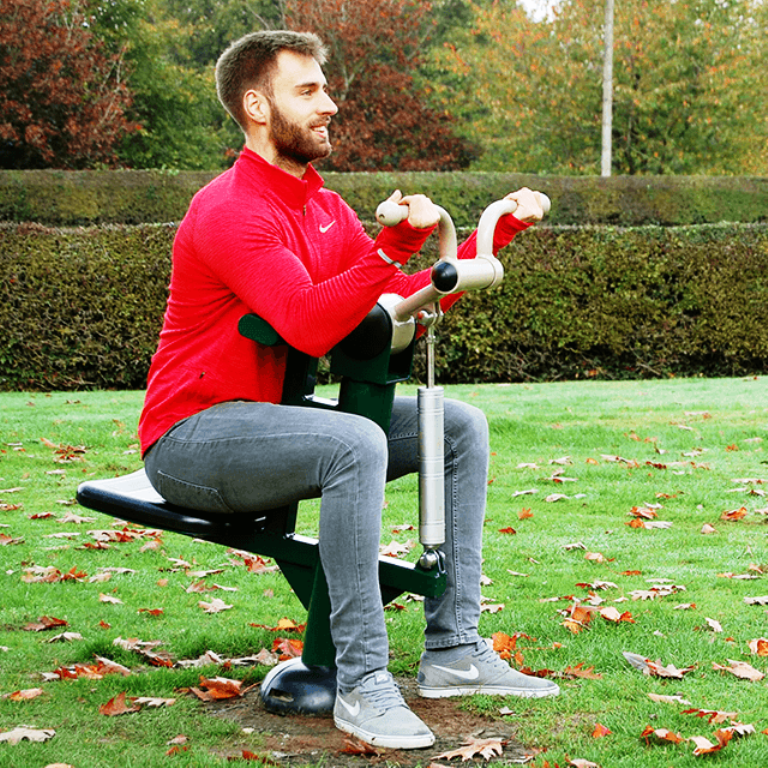 Just like a bicep curl found in an indoor gym, the outdoor Resistance Bicep Curl allows you to set the required difficulty level 1-11 before pulling the bar toward you and back down again in a smooth slow motion. 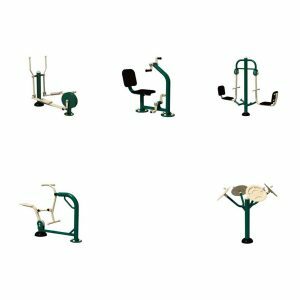 Primarily working the biceps, forearms and upper back along with the chest and core. 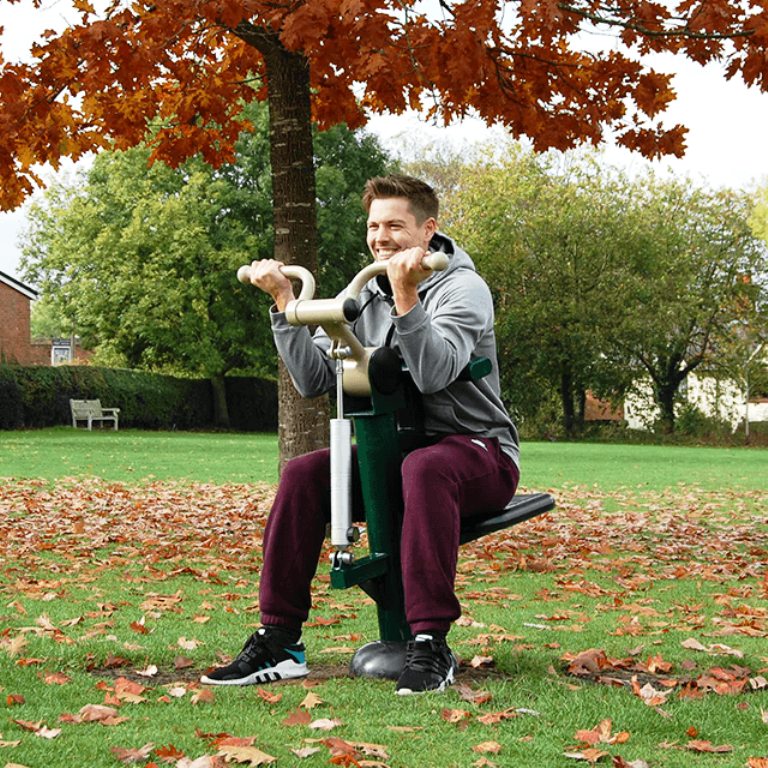 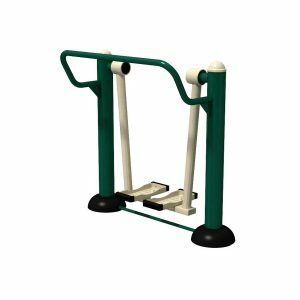 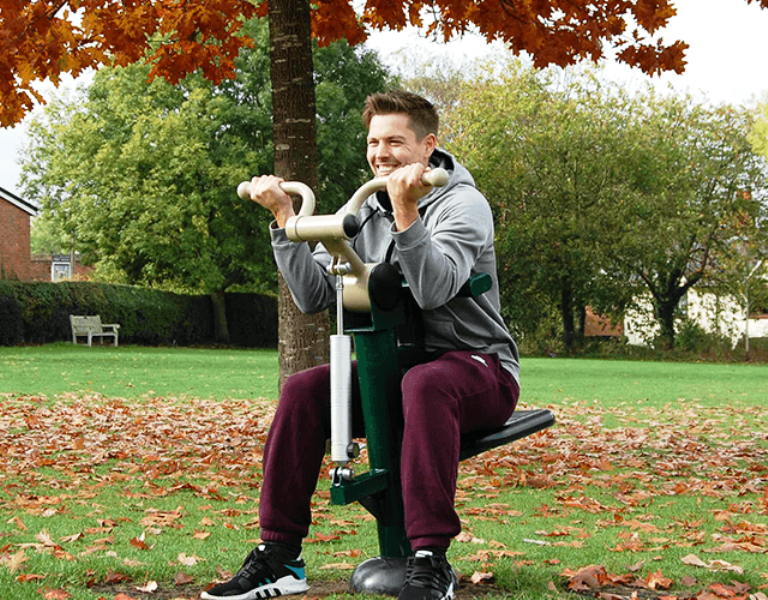 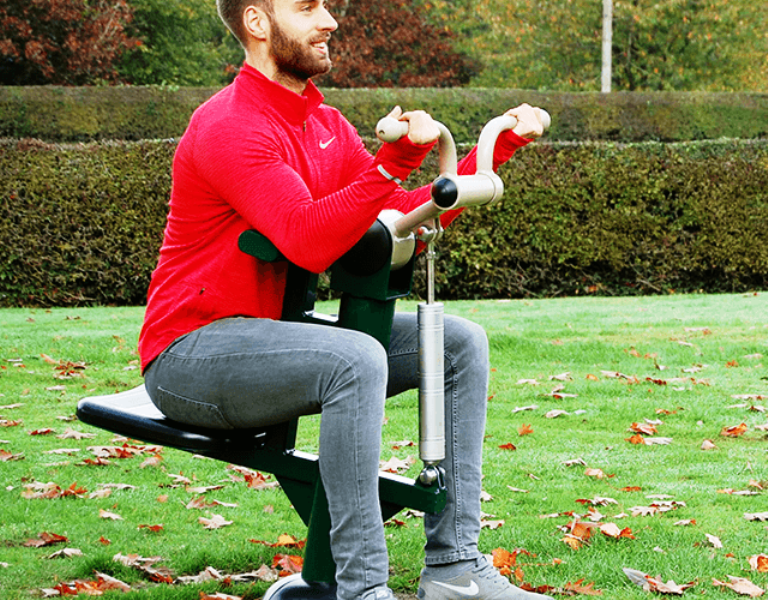 Suitable for all abilities, users new to fitness simply select the lowest intensity and perform a lower number of reps, while those who workout regularly can set themselves a much harder challenge using a higher level and/ or an increased number of reps.